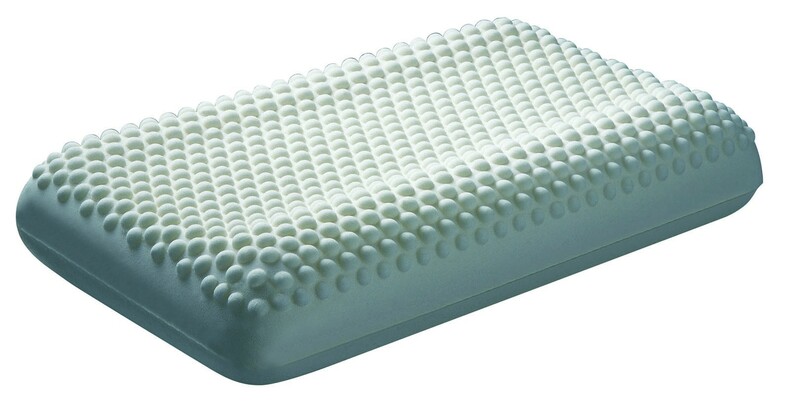 Has all the therapeutic benefits of the contoured shape plus the sensational feel of 600 foam fingertips gently caressing and massaging with every sleep movement. With optional neck support heights and a head height that best suits most side sleepers and large framed back sleepers. With your head in the contour and your neck positioned on the raised edge roll you receive the best therapeutic support and the ideal posture for correct spinal alignment. With 2 Optional head support heights, the Caress best suits most side sleepers and large framed side sleepers.